Department of Psychology was established in 2013. The department offers Under Graduate Programme- B.Sc Psychology (Model I) - 50 seats. 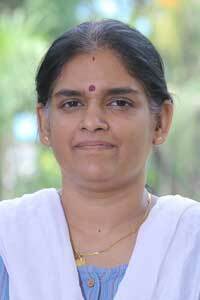 The department has currently four faculties, Dr. Susan Varghese, Smt. Glarmina.P , Dr. Meghna A and headed by Dr. Rashmi.P. To be a nationally recognized leader in undergraduate education, where students and faculty establish close collaborations to learn the scientific principles of behaviour and mental processes, to make significant contributions to the science and practice of psychology, and to produce professionals who serve the local, national and global communities. To achieve excellence in the teaching of undergraduate students, the generation and sharing of knowledge through teaching and mentoring, and to apply knowledge through outreach and service, tackling social and psychological issues. d) The application of scientific psychological principles to personal and social issues.